Anyone who’s taken the time to run a search on Iron Fist or Danny Rand in the past week likely knows that the show hasn’t been well received. It’s been plagued by negative criticisms since its outset. Truthfully, the only other selection on Netflix getting worse reviews seems to be Amy Schumer’s newest special. While I can’t say that the many criticisms leveled against the TV show are unwarranted, I’d rather spend my time reviewing what the show does right, or what it nearly does right. But in any honest criticism, there’s always good news and bad news. Let’s hear the bad news first. The show has been accused of cultural appropriation. Yes, Danny Rand is a white guy master martial artist, but Kill Bill’s Beatrix Kiddo is a blonde-haired white lady who spends most of her time dressed in a Bruce Lee jumpsuit, while slicing off heads with her katana. The whole point of the character is to reference these themes. And let’s note that Danny Rand in the comics is white. Besides, I can’t honestly see that changing the character’s race would’ve changed the show at all. Finn Jones and the rest of the cast are good actors. Iron Fist’s problems are decidedly more structural. I could spend the rest of this review describing the problems in the show that everyone has likely already seen in every other review, but I’d rather try to point out the root of this problem. The action scenes do feel slow and clunky, and edited into incoherence. The dialogue is at times awkward, and many scenes don’t have clear reasons to be on screen. The plot does take a while to develop itself, which isn’t necessarily a problem, but unlike Daredevil or Luke Cage, there doesn’t seem to be anything entertaining me in the meantime other than drama-laden business meetings that even Danny doesn’t care about. If I’m comparing Iron Fist to Daredevil, Jessica Jones and Luke Cage — and of course I am — I’d have to point out that there are three major differences between Iron Fist and its sister shows. There is no clear villain. The Defenders in the MCU are, for the most part, defined by their counterparts. Daredevil is at his best when juxtaposed by Kingpin or the Punisher. Jessica Jones develops as she does as a response to the power of Killgrave. Luke Cage becomes Harlem’s protector only when forced by his villains. Who are Iron Fist’s villains? While the Hand being depicted as an international shadowy organization is a cool take on the evil ninja clan, the only character that comes out of this is Madame Gao. Comparing this character to Killgrave or Kingpin makes the show’s failings in this arena fairly obvious. The series lacks a singular vision. How would you describe Jessica Jones to a new viewer? The show feels like a marriage between a comic and a hard-boiled detective novel. The music, dialogue, setting and characterization all fit this narrative. What about Luke Cage? Luke Cage is about protecting your home, about standing up for your neighborhood and it’s about Harlem. Once again, the music, setting, dialogue and characterization all fit this narrative. Iron Fist, at the end of the day, doesn’t know what it’s about. I suppose, in the light of cultural sensitivity, it wasn’t allowed to mine its own source material properly, but I can’t help feeling a sense of incongruity in the way the show expresses itself. This goes all the way down to the music, which feels at times oddly reminiscent of Stranger Things. 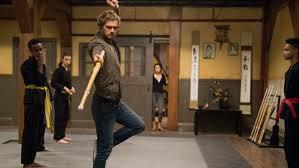 Iron Fist feels rushed, and a little cheap. This is likely not the case, as it was filmed in HDR, or High-Dynamic-Range Imaging. It’s possible, here, that the crew simply was not used to what HDR would do to lighting and cinematography. I can’t blame them for this, but all the same, it causes the show to appear flat, sanitized and void of artistic expression. The choreography, too, feels rushed and incomplete, but after masterpieces of choreography like John Wick, or Daredevil’s famous hallway long cut, we know that good choreography requires a big commitment by the entire crew, and a director with the vision to bring that commitment together. 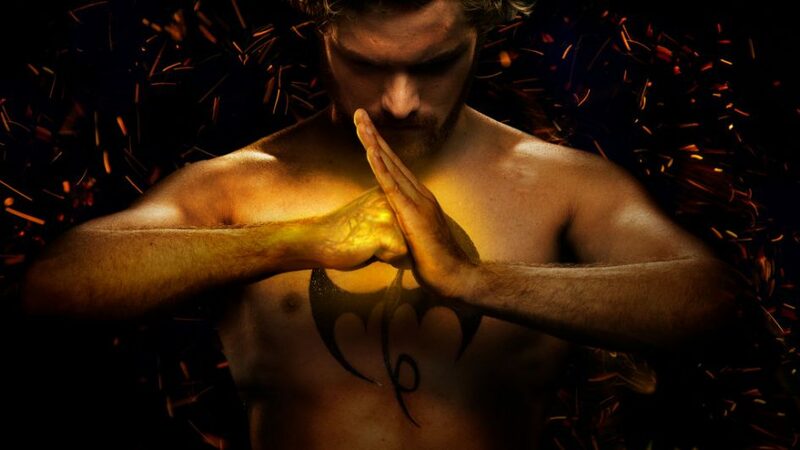 Iron Fist, however, is not quite so terrible. It is simply not as good as I wanted it to be. It’s the Thor of The Defenders. There is one element that the show touches on in the first few episodes that I felt was really interesting, and I wish they had continued with this idea. Danny is presented as an outcast in his own home. He’s effectively a homeless man, bearded and shoeless. He is pushed aside by society at large, and eventually finds himself in an asylum. This made me contemplate the odd societal deficiencies of all The Defenders, and in this aspect, Iron Fist feels right at home. The alter egos of the Defenders are badass crime-fighting super heroes, but to society, what we see is a disabled man, a battered, now alcoholic woman running from her abuser, a convict hiding out in a city ruled by corrupt public officials and drugs, and lastly, a wandering homeless man with no identity in the modern world. This fits the narrative of our street-level Avengers. They feel human, and at times frail, since despite their impressive abilities, they are often unable to take up the mantles of heroes. I would like to know why all those viewers decrying the problem of a white savior never noticed that Danny’s whiteness doesn’t keep him from being cast aside and considered insane and valueless for having no I.D. and no shoes. He’d likely still be living in a park without the help of at least four incredibly capable women. Moreover, Danny becomes much more interesting to a viewer when his inability to navigate the two worlds he inhabits — worlds that tell him who he must be — becomes apparent. I don’t think Finn Jones was given enough time to develop this characterization, but I see hints of it throughout. Maybe the next season, if there is one, will take its time and let Danny become Iron Fist, and spend less time on boardroom banter.